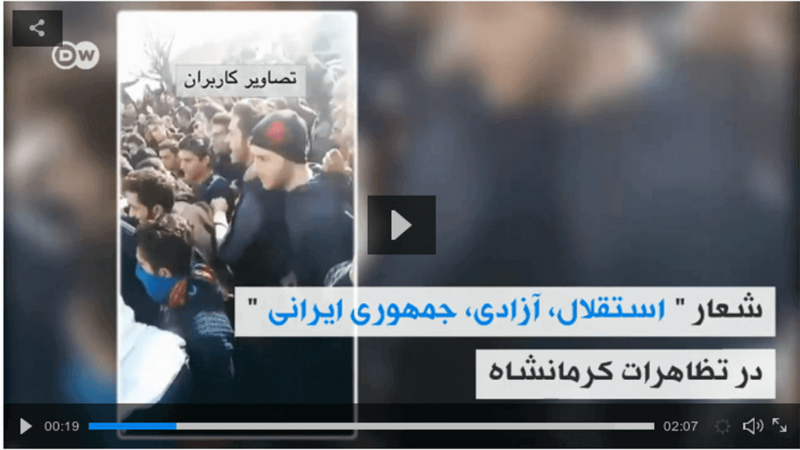 The heartwarming message for 2018 as chanted in #Kermanshah, pursuing the #IranProtests: Independence! Freedom! Republic of Iran! Independence! Freedom! Republic of Iran! Perhaps 2018 would bring the changes so badly needed in the country, AND positive slogans would be chanted. The Nation begs, the Leader rules as God! Leave Syria, Think of Us! 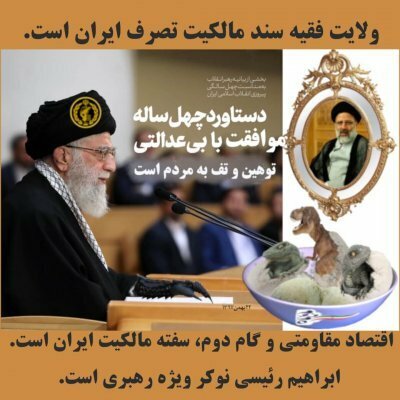 Mullahs ! Feel the Shame , leave the Country ! Seyed Ali ! Feel the Shame, Leave the country! I was born and grew up in an Iranian province. I question whether the Iranian mentality grasps the basic principles of democracy. Please read articles in FR or FA sections. They are not the translated posts from English. Will The Floods Break The Morons’ Regime In Iran? Nasrin Sotoudeh: Message To G7: no more Nasrins!! © 2012-2019 Albertine Ahmadi. All rights reserved.